On June 6, 1944, Britain woke up to a profound silence. Overnight, 160,000 Allied troops had vanished and an eerie emptiness settled over the country. The majority of those men would never return. This is the story of those extraordinary 24 hours. 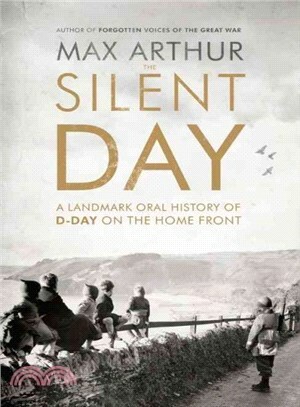 Using a wealth of first person testimonies, renowned historian Max Arthur recounts a remarkable new oral history of D-Day, beginning with the two years leading up to the silent day which saw the UK transformed by the arrival of thousands of American and Canadian troops. We also hear the views of the American troops, who quickly formed strong views of both the British military and civilian populations. Then, on that June morning, many British people woke up to discover that vast areas of the country, which had throbbed with life only the day before, were now empty and silent. Civilian workers found coffee pots still warm on the stove but not a soul to greet them. Many felt bewildered and betrayed, including children. Then, throughout that day and the days that followed, the whole population gathered around wireless sets, waiting for news. There are powerful testimonies from families of who lost loved ones on the beaches of Normandy, and dramatic personal accounts from young widows who had never had the chance to say goodbye. This is an original and evocative portrait of a key event in world history, and a poignant reminder of the human cost of D-Day. Max Arthur is acclaimed for his specialty in sourcing first-hand recollections of the 20th century, particularly World War I and II. He is the author of many history books, includingForgotten Voices of the Great War and Forgotten Voices of the Second World War which were both written in association with the Imperial War Museum, and has been awarded with an OBE for his services to military history.